Opposition MPs are calling on the federal government to stop taking "baby steps" in its crackdown on people who hide money in offshore accounts to avoid paying taxes. This comes as the CBC is part of an exclusive worldwide release of offshore financial information, that was first obtained by the Washington based, International Consortium of Investigative Journalists. The records, about 2.5 million files in all, shed light on secret accounts of more than 130,000 people worldwide, including about 450 Canadians. While having an offshore account is not illegal, the leaked documents demonstrate how some use these accounts, and the secrecy around them, to avoid paying taxes. 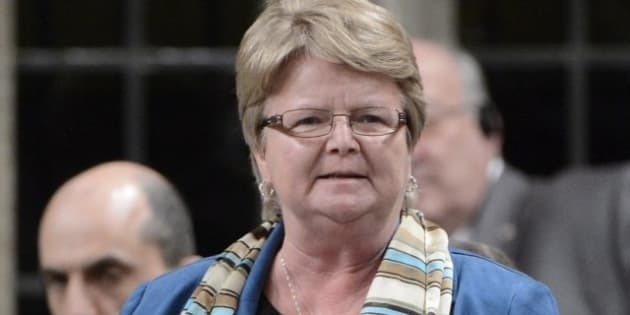 The minister in charge of the Canada Revenue Agency admits tax havens are a problem for her government. "We have since 2006 assessed more than $4.6 billion in unpaid tax from offshore accounts, so that's significant," said Gail Shea Wednesday. "It's a serious matter. This money is owed to Canadians so we're putting a real effort into going after them," she added. After the publication of the CBC story Wednesday, Shea said she could not comment on specific cases, but said the government has taken several measures to address the problem. "I expect CRA officials to review any information they receive and aggressively pursue all suspected cases of tax evasion. "Economic Action Plan 2013 builds on this success and proposes a number of measures to combat international tax evasion and close tax loopholes to ensure tax fairness," Shea told CBC News. The federal finance minister introduced new measures in last month's budget — a new tip line for whistleblowers and a rule that will force banks to tell the Canada Revenue Agency everytime $10,000 or more is transfered out of the country. But the opposition parties say its not enough. The NDP national revenue critic, Murray Rankin, points out the government is also cutting the very agency it will rely on to go after the tax cheats. "The CRA has cut 3,000 positions in three years. They've cut $60 million going forward this year. They say, 'Don't worry, we'll have lots of auditors to do this.' I just don't know if the money is going to be there," Rankin said last night on CBC News Network's Power & Politics. Liberal Scott Brison is skeptical too. "They're cutting a hundred times more than they're increasing. It's crazy," he said on Power & Politics. In last month's budget, finance officials do not put a dollar figure on how much money they expect to get from their changes, suggesting it's one thing to know how much money is out there, but it's a lot more complicated to collect it.